Our Annie Dresser features smooth texture, sturdy construction and durability.Great for rental properties. 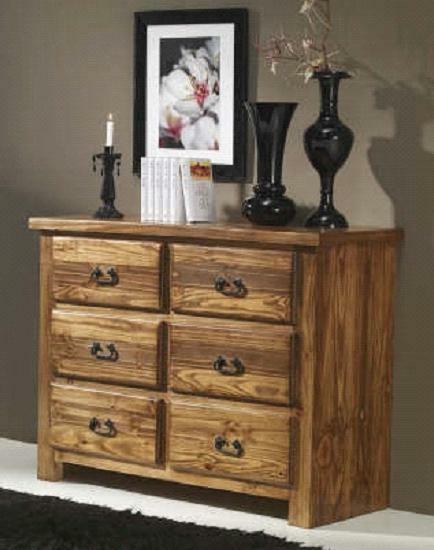 The Annie Dresser features a smooth, inviting texture and pine wood medium stain. The knotted pine wood gives it a more rugged appearance than the Vallarta dresser. Iron accents complete the warm, rustic feel of this very durable piece, ideal for your Mexico rental properties.